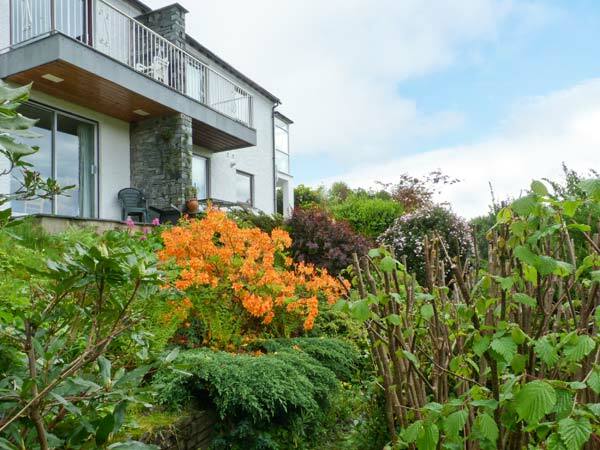 Walker's Retreat is a stylish ground floor apartment a short walk from the centre of Ambleside near Lake Windermere in the Lake District. The property can sleep three people in two bedrooms, including a king-size double, a single room and a bathroom boasting a kidney-shaped bath. 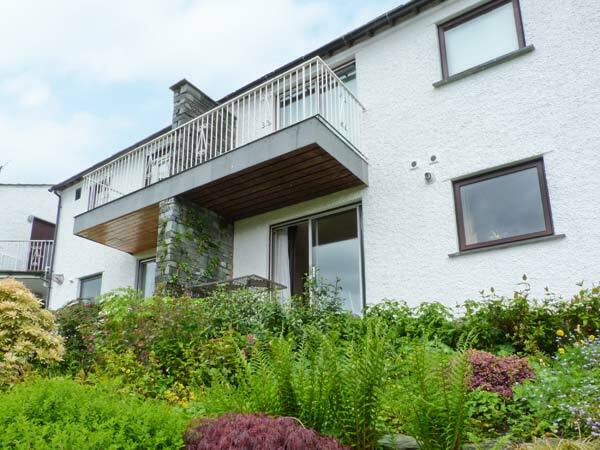 The rest of the cottage offers a fitted kitchen and a sitting room with a gas fire and sliding doors leading to a patio with wonderful views towards the town of Loughrigg and Loughrigg Fell, while outside, steps lead up to the parking area where you will find off road parking for one car. Situated just outside the delightful village of Ambleside, Walker's Retreat is the perfect base for a holiday exploring the Lake District. All ground floor. Two bedrooms: 1 x king-size double, 1 x single. Bathroom with bath, shower over, basin and WC. Kitchen. Utility/boot room. Sitting room with dining area and gas fire. Gas central heating with gas fire. Electric oven and hob, microwave, fridge/freezer, washer/dryer, dishwasher, TV with FreeSat, DVD, iPod dock, WiFi. Fuel and power inc. in rent. Bed linen and towels inc. in rent. Off road parking for 1 car. Front patio. Sorry, no pets and no smoking. Shop and pub 5 mins walk. Note: There 6 steps from the lounge to bedrooms plus steps to property from parking area. Note: Garden is terraced. Note: Unfenced patio in elevated position. Note: Property not suitable for children under 12 years.